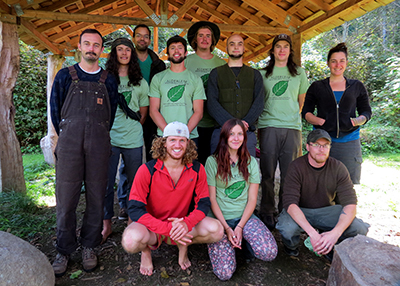 Welcome to the September 2016 eNewsletter from Alderleaf Wilderness College! 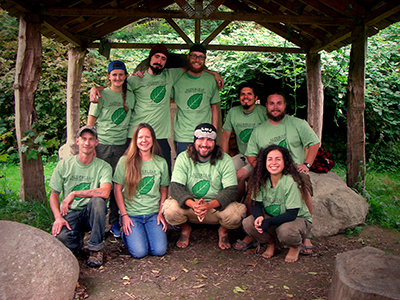 Two cohorts of the Alderleaf Wilderness Certification Program (AWCP) kicked off on September 6th. Both cohorts together are pictured above. They've had a great start to the school-year! 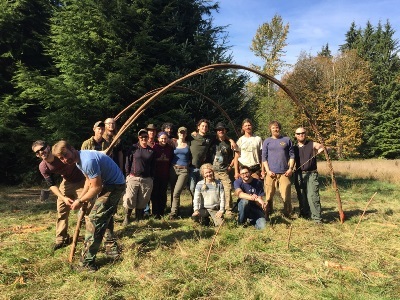 The Advanced Wilderness Skills Program (AWSP) began September 9th. 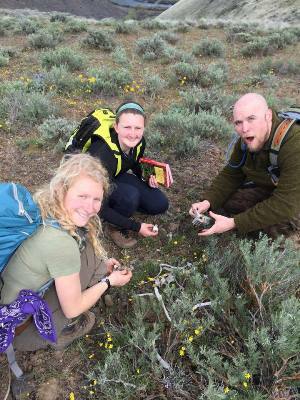 Today they reached Yellowstone National Park as part of their field trip to the Panthera Tetons Cougar Research Project! 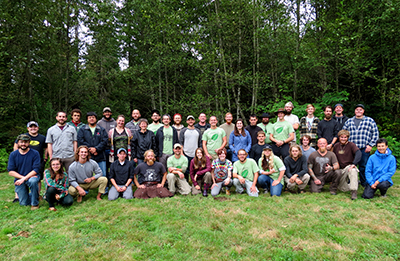 The Wilderness Instructor Apprenticeship Program (WIAP) began August 29th. These alumni have returned to assist at courses and further their teaching & leadership skills. They're a tremendous resource for new students! We're so excited about the amazing team of instructors, support staff, and guests that our students get to learn from this year! 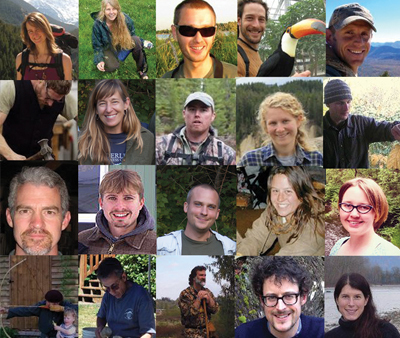 Read about them on our updated faculty & guests page. 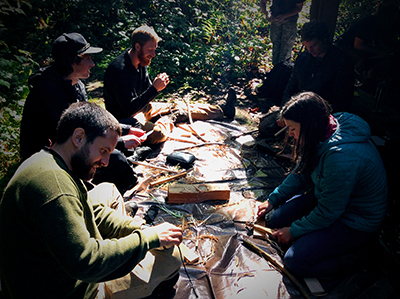 AWCP students building bow drill kits at a survival fire making class day. 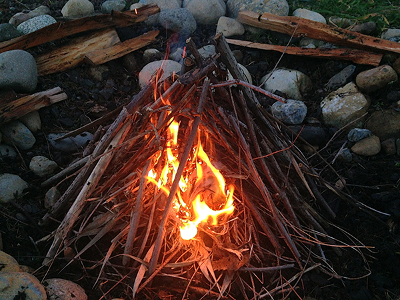 AWCP student successfully making fire from his bow drill kit! 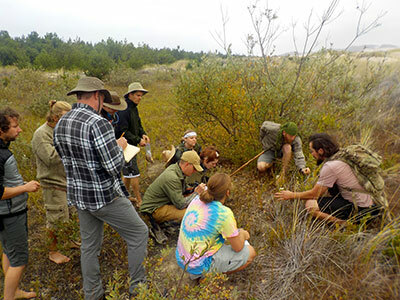 Both cohorts of AWCP classes went on field trips to the Oregon Dunes this month to begin their studies of ethnobotany, naturalist skills, and wildlife tracking. Students are learning about plant identification in the photo above.